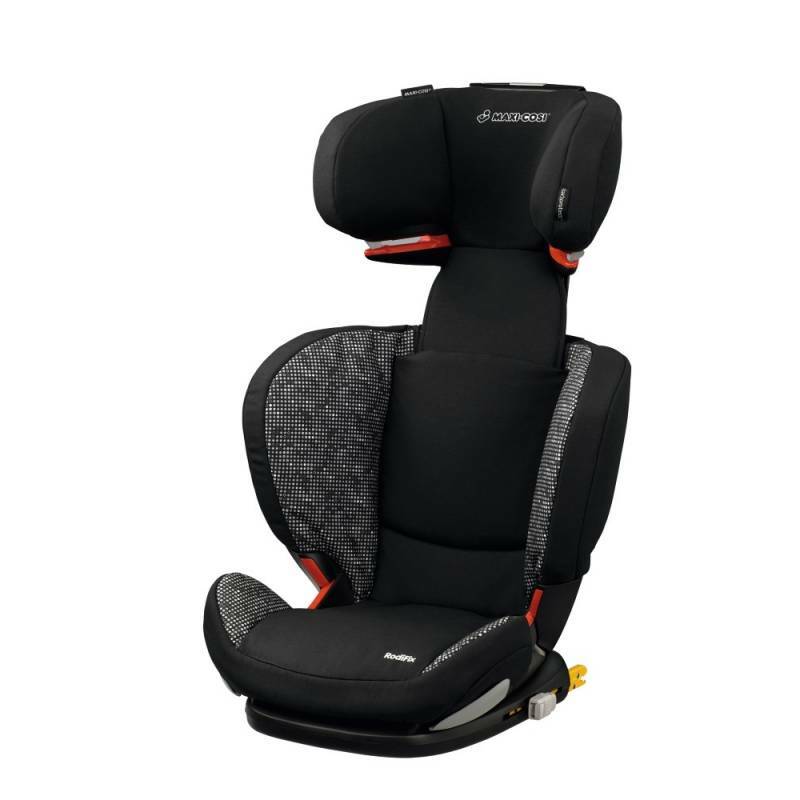 The Maxi-Cosi RodiFix provides full head and body protection for your older child combined with easy, secure IsoFix connection. Suitable from the age of 3 ½ to 12 years, it’s extremely lightweight to make it easier to move between cars. Providing essential hip, neck and head support, it offers reassuring protection from head-on and side impact collisions. Designed with style conscious parents in mind, it’s made with durable, deluxe fabrics and has a contemporary look. Part of our Rodi family, other variations to consider are the Rodi XP/SPS, RodiFix AirProtect®, and the Rodi AirProtect®. Our Maxi-Cosi RodiFix offers reassuring added protection for your child’s hips and head compared to using a booster seat alone. The headrest offers side impact protection that’s designed to reduce the risk of head or neck injury. And the hips and the lower back are protected by side panels. Designed to fit from 15kg-36kg, the backrest lengthens and the sides can open to accommodate your growing child. For more comfortable travel, the seat is padded and the back reclines to match the seat of your car. Suitable for use in cars with an IsoFix connection, the retractable connectors lock the car seat securely in place. Your child is then held in place in the seat using your car’s own three-point seatbelt. Clearly marked belt routing and easy-glide guides make it simple to fit correctly. The open design makes it easier to get to the seat belt buckle to do it up. That makes it easier and quicker for you or means your child can do it themselves when old enough. Other features for your convenience include an easy to remove and washable cover.